I was thrilled to visit Sri Panwa Luxury Spa Resort, because all the pictures I’d seen of this luxury villa and spa resort were truly spectacular! As we were driving to the southern tip of Phuket and saw one beautiful vista after the other, I got more and more excited. And boy, the Sri Panwa was everything I could have imagined – and then some! 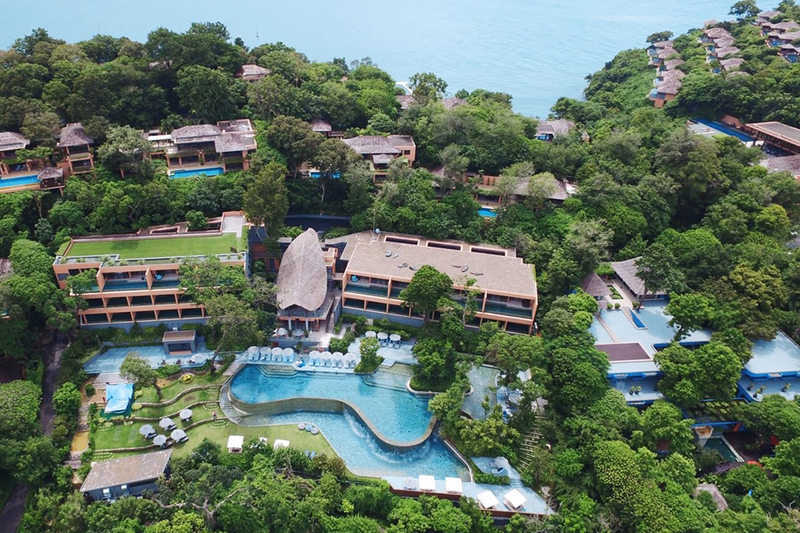 Sri Panwa is basically a small village, spread out against beautiful, lush, green hills overlooking the Andaman Sea and Phuket’s Southeasern peninsula. With its 100-meter pier, you can actually arrive at Sri Panwa by boat from one of the many beautiful islands in the Phuket archipelago nearby: Racha, Maiton, Phi Phi, Coral, Lon and many more are only 15-40 minutes away by boat. The amazing thing is that at first, I didn’t really comprehend how many different features the Sri Panwa offers. This is the whole concept: there is a tremendous feeling of serenity and peace, while at the same time there are all the services and amenities one can think of. From an amazing spa to personal trainers and tennis courts, to boat trips and diving excursions, there is always something to see or do. But it’s never in your face, everything feels very secluded, like a tropical oasis of tranquility. We stayed at a beautiful penthouse overlooking the ocean, but… this was not a ‘normal’ penthouse, if such a place exists. At one point during our stay, I was swimming in the incredible pool, surrounded by tall palmtrees. As I looked up towards our room, I saw the boyfriend swimming as well, except he was doing laps in the private pool on the terrace of our penthouse! I have never seen anything like it. The penthouse itself was incredibly spacious, with a large living room, open dining room and a fully equipped kitchen. The minibar was an excursion in itself, since it offered way more than a bar and there was nothing mini about it. The boyfriend was a huge fan of the enormous sofa that overlooked the Andaman sea. I throughly enjoyed the friendly personal butler who insisted he was at our every beck and call. As you can tell from the pictures, the villas are amazing as well. They are also very large and luxurious and laid out in such a way that they offer a magnificent view, without impeding on anyone’s privacy. I have to mention the wide variety of culinary options at Sri Panwa. 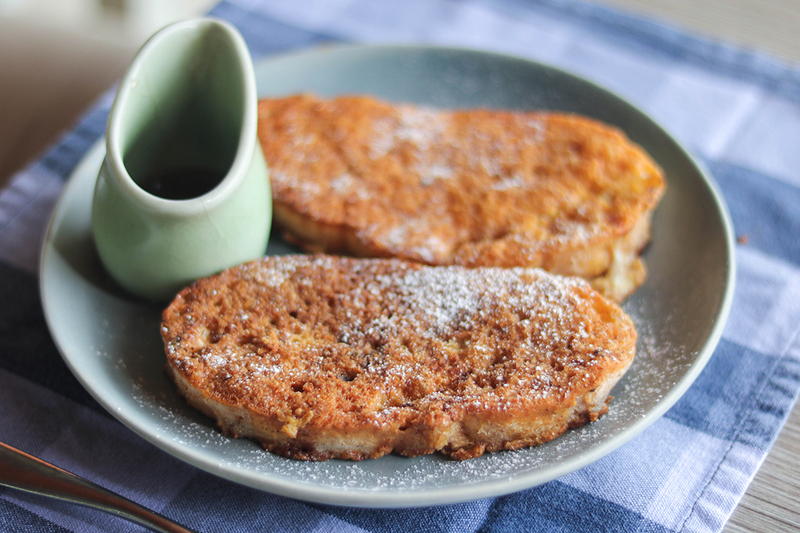 Starting with the breakfast, there’s a choice of either enjoying an amazing buffet or ordering a la carte. I love having that choice every morning, especially when the buffet also offered a full Asian breakfast with soups and my favorite curries! At sunset, I highly recommend cocktails at rooftop bar Baba Nest. 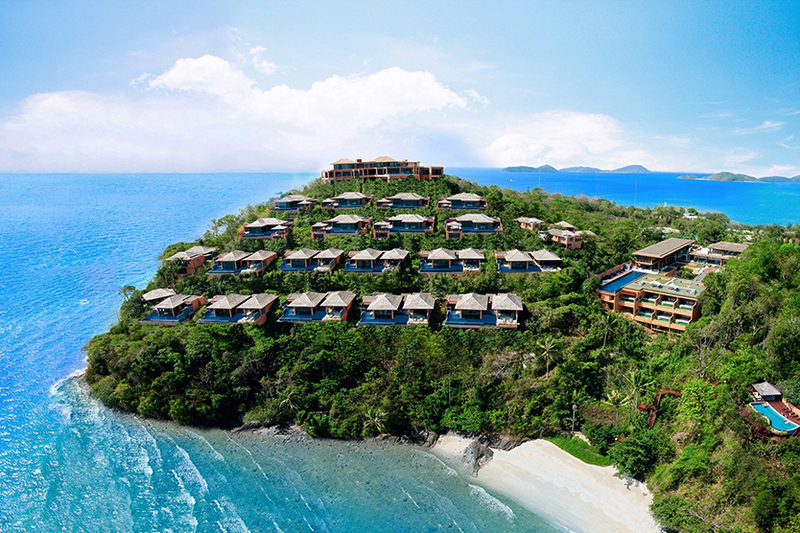 It offers a bird’s eye view of this southern tip of Phuket that is simply breathtaking. There are many different cuisine choices at Sri Panwa every night. We were extremely lucky that our stay happened to coincide with the visit of Italian Michelin-starred chef Stefano Baiocco and his team from Villa Feltrinelli at Lake Garda. 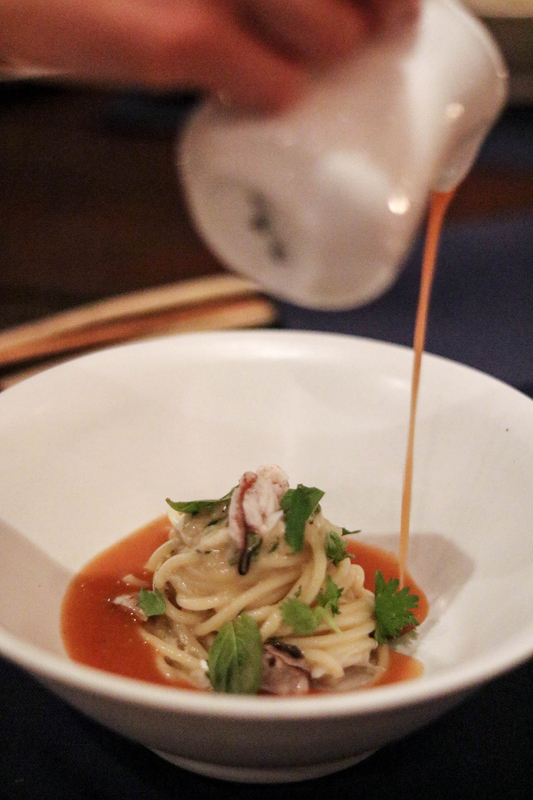 Drawing on influences from modern Italian and Thai cuisines, Baiocco created a specially curated unique eight-course dining experience using only the freshest, locally-sourced ingredients. We enjoyed a menu with the most delicious dishes of pasta, meat, seafood, desserts and wines. I think it’s very important to note that all this took place in a very casual, laid back environment that completely fits Sri Panwa. Guests were welcomed to take a look in the kitchen as Baiocco was waving his magic wand (spoon) and he greeted each and every guest like only an Italian can. It is that unique blend of high quality and casual vibe that makes Sri Panwa stand out and, you will not be surprised, I can’t wait to come back! 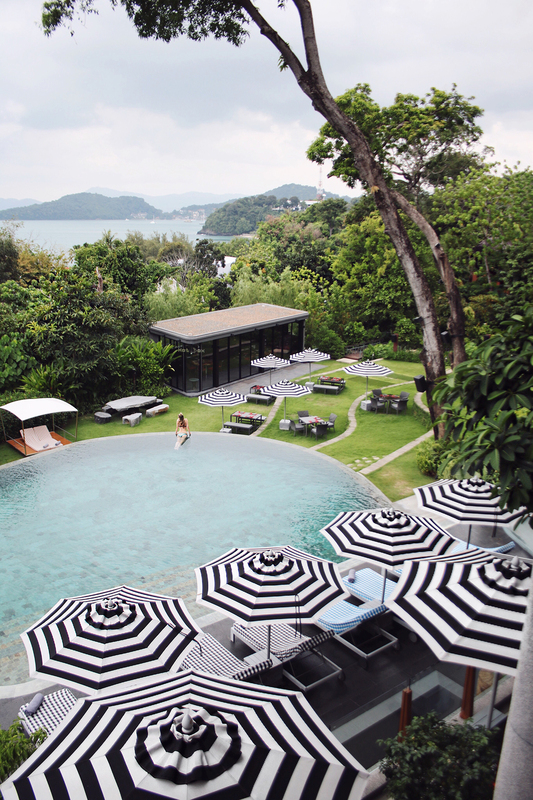 Posted in TravelTagged blogger, Blogger review, Peninsula, Resort, Sri Panwa PhuketBookmark the permalink. Amazing! I love the swimming with the waterfall all over! Fabulous that a place like this can exist! This place looks amazing! We are going next month and can’t wait!!! The aesthetics of this place is amazing, I love that closet but the pool is gorgeous! What a gorgeous place! Love those big beanbag type chairs outside. Wow! This place is breathtaking! I want to move there!!! Stunning pictures! Wow, beautiful pictures! Wish I could go there too! Wow this place is absolutely STUNNING! Hope you had a great vaca, definitely made me want to take a trip haha. These photos are just absolutely stunning – and great to look at and pretend I am far away from this rain and cold in Berlin! 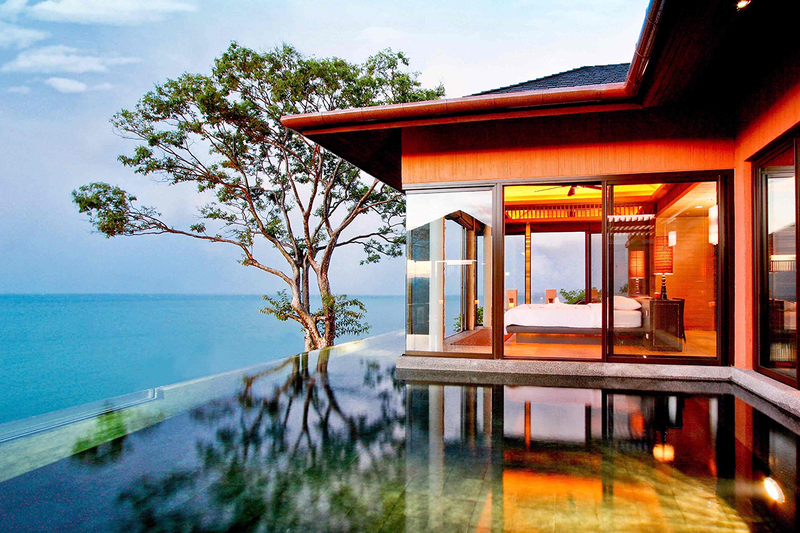 Sri Panwa looks like an absolutely incredible place to stay at! Thanks for sharing these lovely vacation shots! This place looks absolutely unbelievable! I want to go there! Oh my goodness I need to go here!! Your photos are incredible girl!!! I love coming to your blog because you show some amazing places that I have never heard of. You giving me some vacation ideas for future trips. Great photos by the way. Thanks for sharing! This looks like paradise! I love the black and white striped umbrellas! I have seen so many incredible pictures of this place as well! What a dream to go!! Those views over the Andaman and the pools! Seriously incredible. They have designed the lay out so well too, it seems in harmony with the landscape. Beautiful photos guys! Plus that dinner must have been unforgettable! Can’t get over all of your travel pics! You’re totally living the life! Wow, such a wonderful place! Thanks for the adorable pictures! Your penthouse room sounds and looks like it was such a dream to stay in! 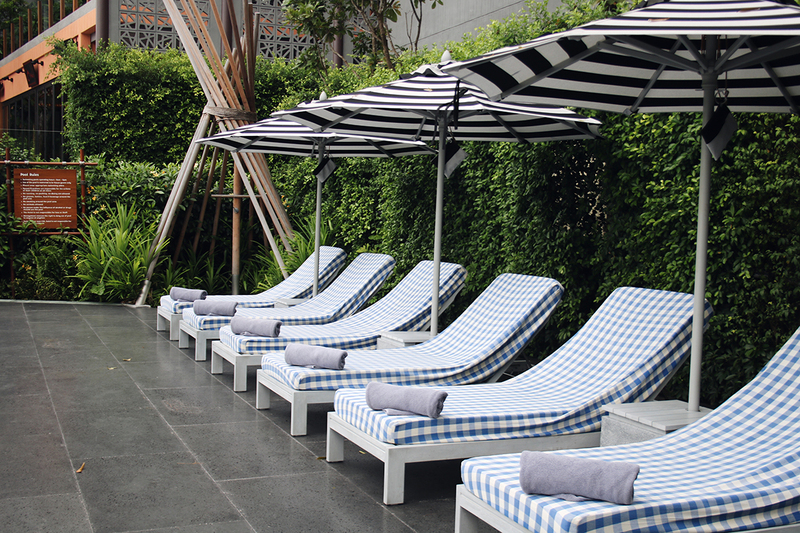 I love that pool area with the black and white umbrellas! I want to stay in this spa so much when I see all your amazing photos of it ! The food looks also so delicious. Oh, everything about Sri Panwa hotel looks amazing: the location, accommodation, pools and the food! Wish I was there. Happy Women’s Day, Merel. Always amazing pictures and amazing places! Wow! It looks like a dream! Need to visit! What a stunning place!! So so pretty. I’d love to visit someday. Wow! This place looks absolutely amazing! Can’t wait till I go to Bali. Wow!! These photos are incredible! This makes me want to hop on a plane this instant and head to this resort. So beautiful! Thank you for sharing! Amazing photo selection. It seems you’ve had a blast.